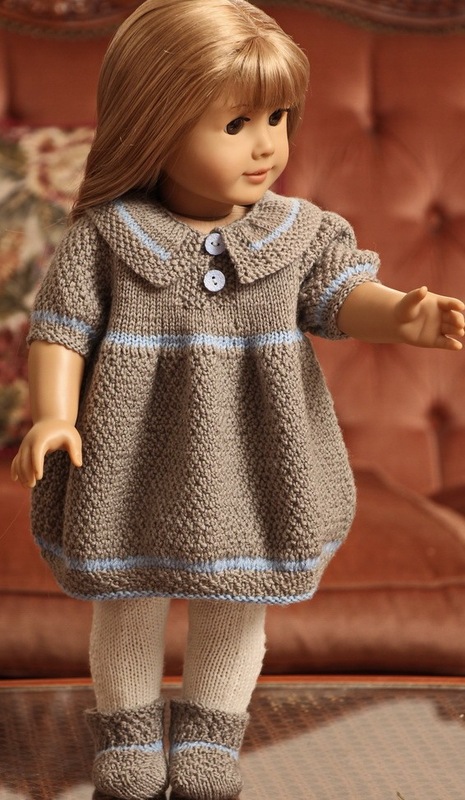 Model 0105D NORA - Dress, Pants, Hairband and socks. 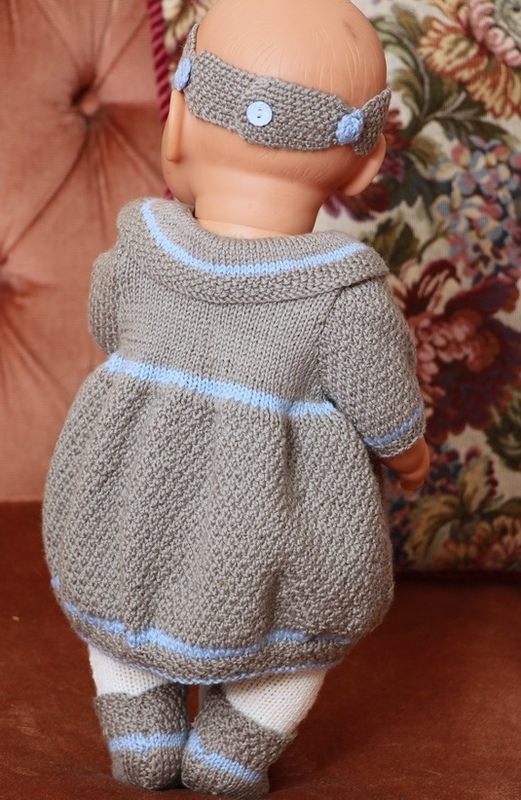 ... in blue along the edge of the skirt and at the beginning of the yoke. 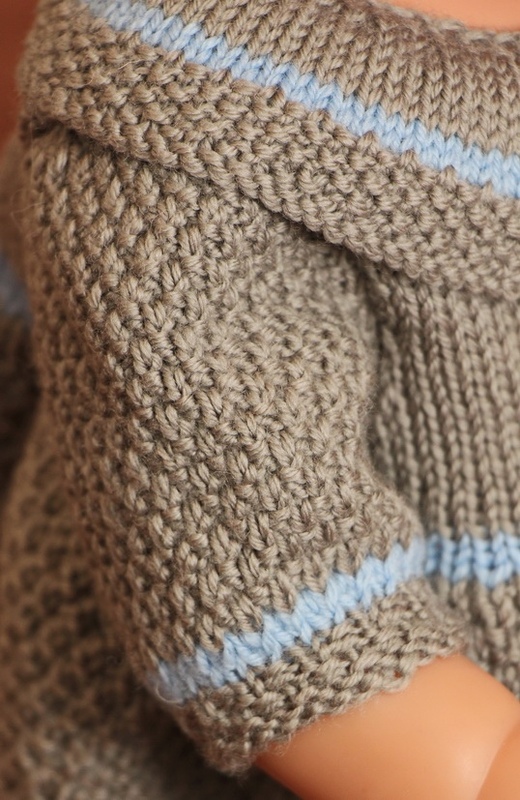 Along the opening front, I have knitted moss stitch and sewed to loops in buttonhole stitches long the opening. 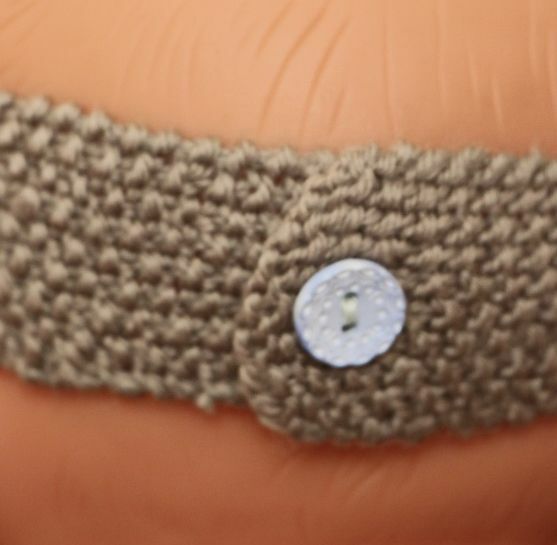 At the opposite side, I sewed 2 blue buttons. ... moss sts edges and a little blue stripe inside the edges. 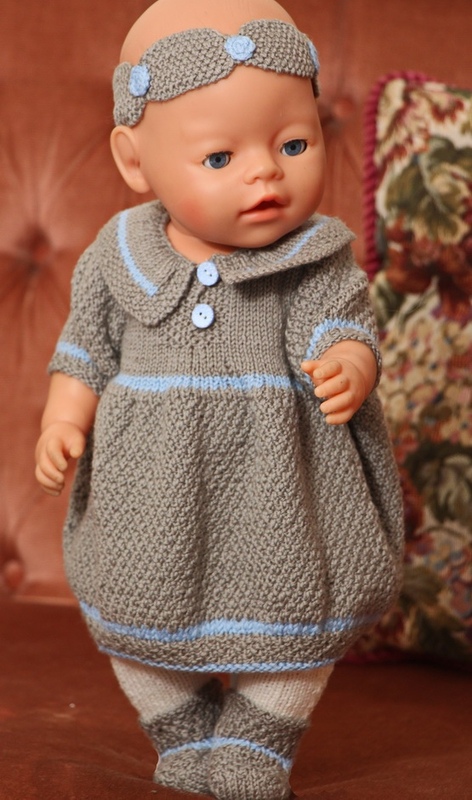 When I had finished this dress, I thought my lovely doll Nora was beautiful in this dress. 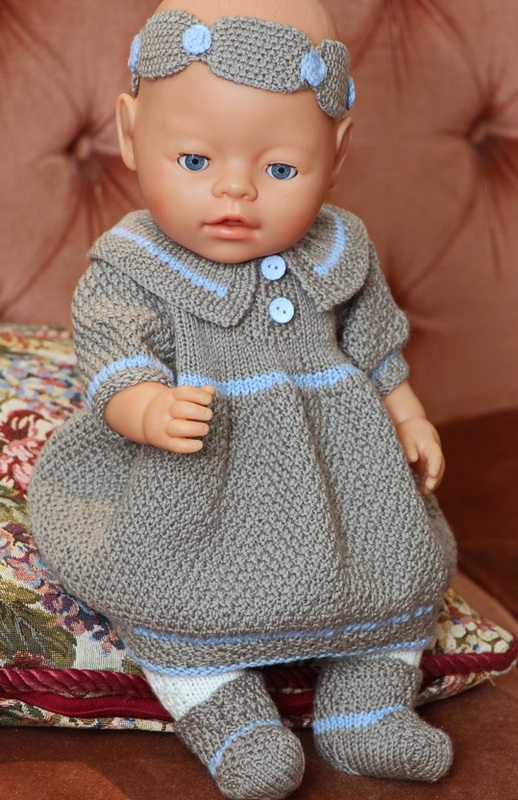 I liked my doll Nora very well in these cloths! 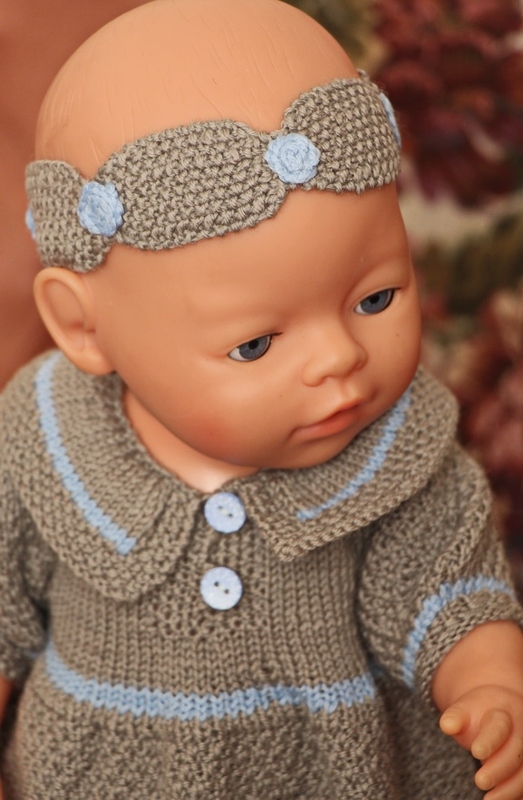 Now I hope you too will like to knit these clothes for your doll! PS. Share lovely things - inspire your family and friends with something lovely; please share this page on Facebook or you may tweet it too (below). Did you like some pictures, click on Pin it and add them to your Pinterest album. 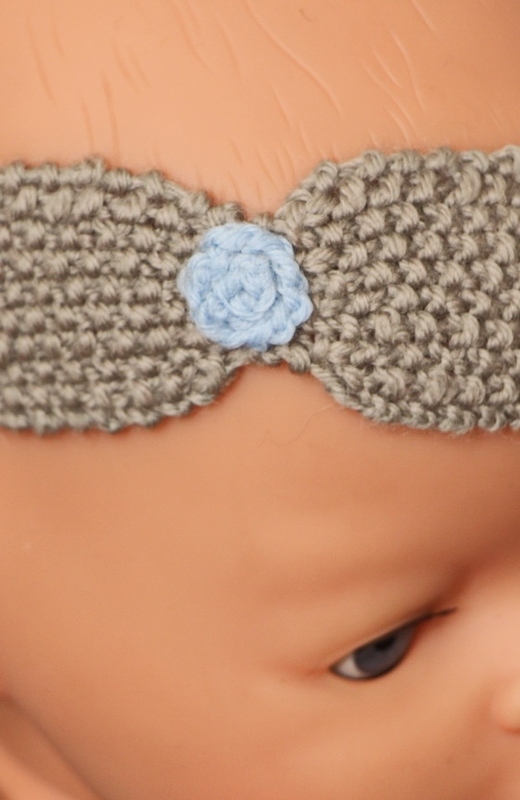 Then I knitted the hairband in moss sts. 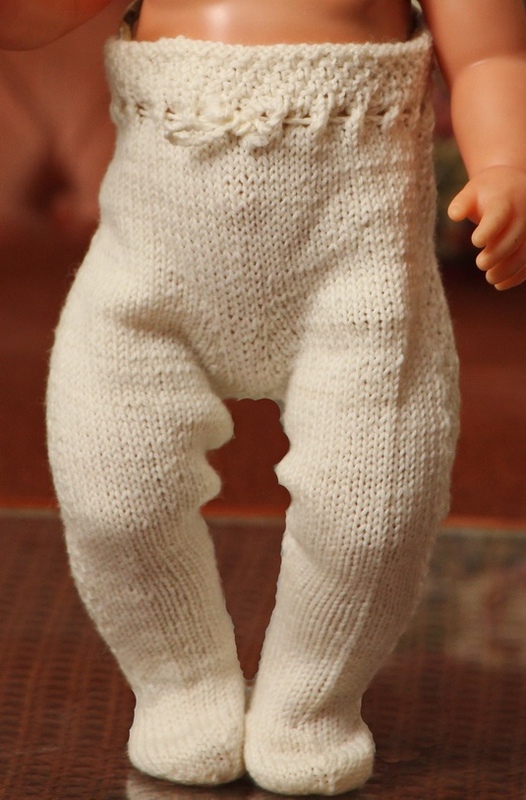 Between the moss stitch, I decreased sts and knitted some rows garter sts. After fastening the threads, I knitted some rows of chain stitches. These I rolled tog like little flowers and sewed them tog at the backside. I used the other thread to fasten the flower to the hairband. 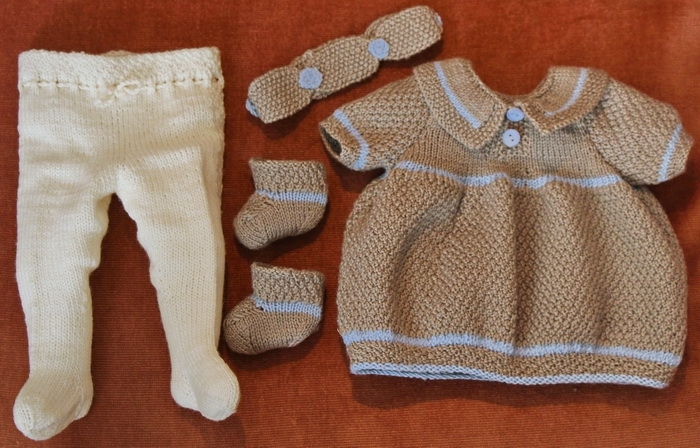 ...together with some lovely socks knitted in beige with a blue row, I think the result was very good!